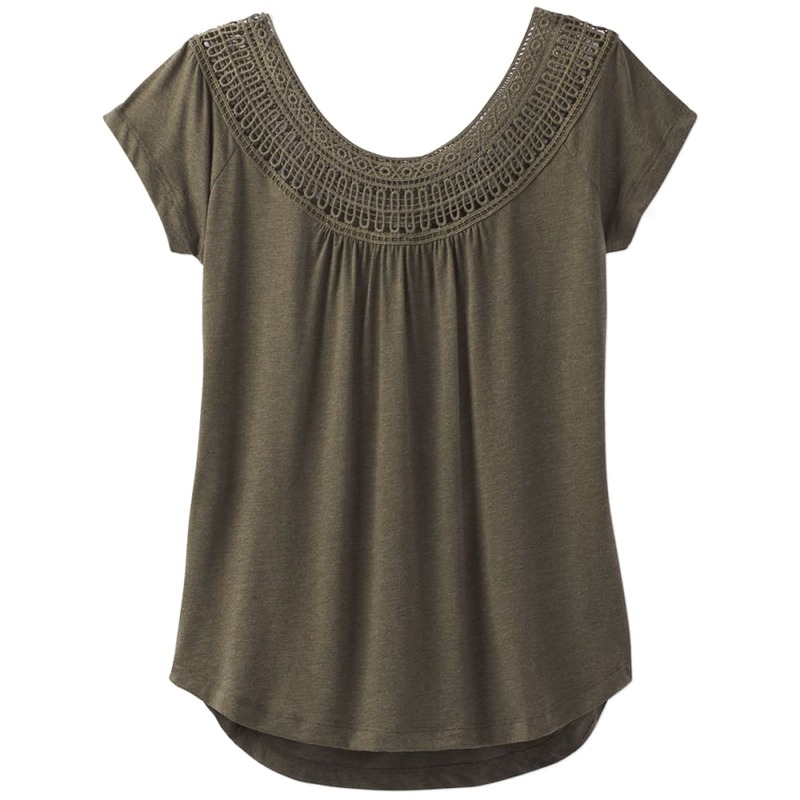 The prAna nelly top is lovely in design and origin. A wide crochet lace neckline transitions into a relaxed fit and flattering shirt-tail hem, all brought to you in a blend of organic cotton and recycled materials. Fair Trade certification supports better working conditions for the cotton farmers and factory workers who made it.